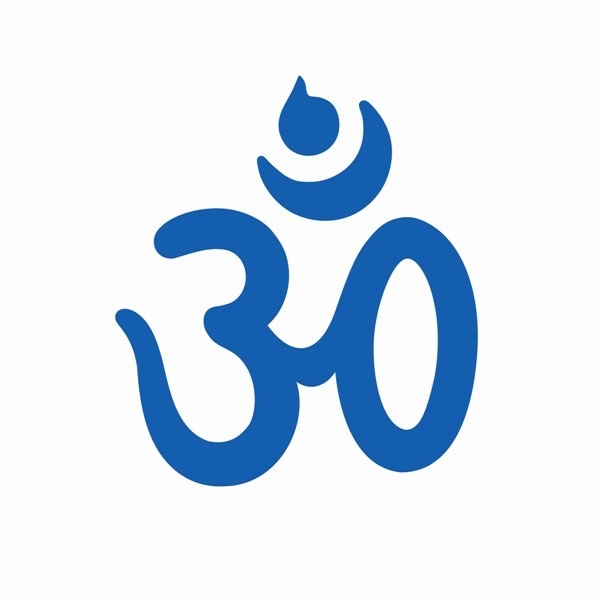 Om is a Universal symbol used by all Yoga Schools, all over the world. It represents the vibration that gave "Start" to the Universe we know; and is also the Vibration that currently holds matter. One of the "evidences" of its existence is the background radiation (vibratile and thermic), which surrounds us (detectable in all directions). According to the Ancestral Sámkhya Philosophy (Yoga’s twin Philosophy, which deals with the Cosmogenesis and Anthropogenesis), that initial vibration of the Universe was called thousands of years ago Mahá Om (translating literally - Great Om), this ancient Philosophical perspective presents great similarities to the modern theory of the "Big Bang". Its sound is a powerful Mantra / Jápa, and leads to concentration and to Meditation.